TRESORS D’AFRIQUE. MUSEE DE TERVUREN, 1995, fig. 142. Cornet, Joseph, A SURVEY OF ZAIREAN ART-THE BRONSON COLLECTION.Felix, Marc L, 100 PEOPLES OF ZAIRE AND THEIR SCULPTURE: THE HANDBOOK. 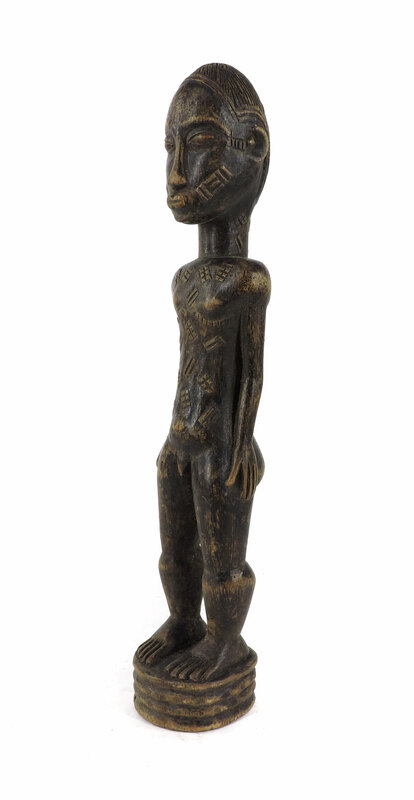 Brussels: Zaire (Congo) Basin Art History Research Center.